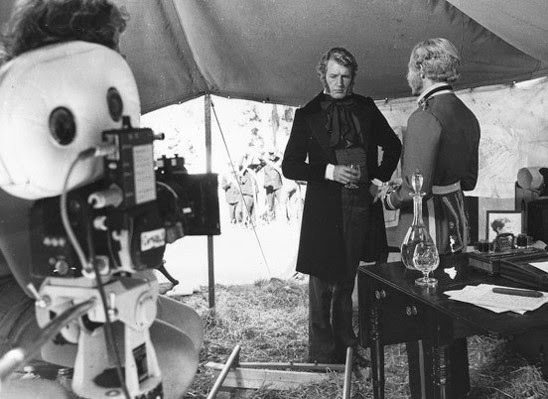 In 1977 the most ambitious historical drama for television produced in New Zealand screened on TV One. 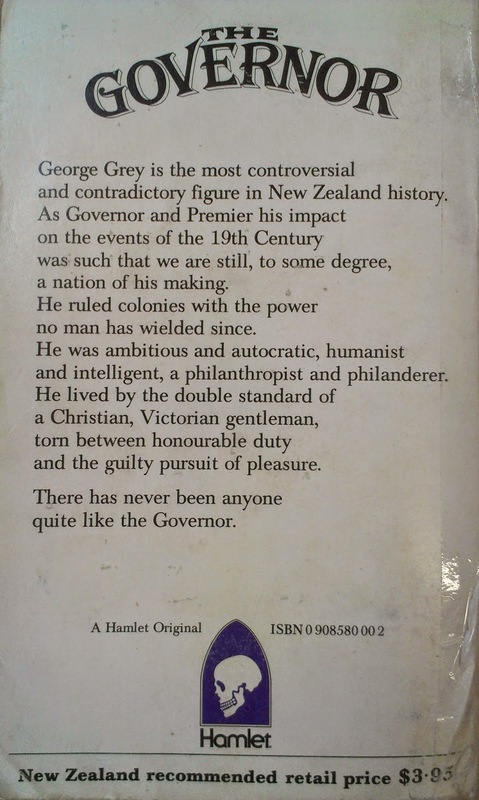 The Governor was a six-part series based on the life of Sir George Grey, the two-time governor and later premier of New Zealand in the nineteenth century. 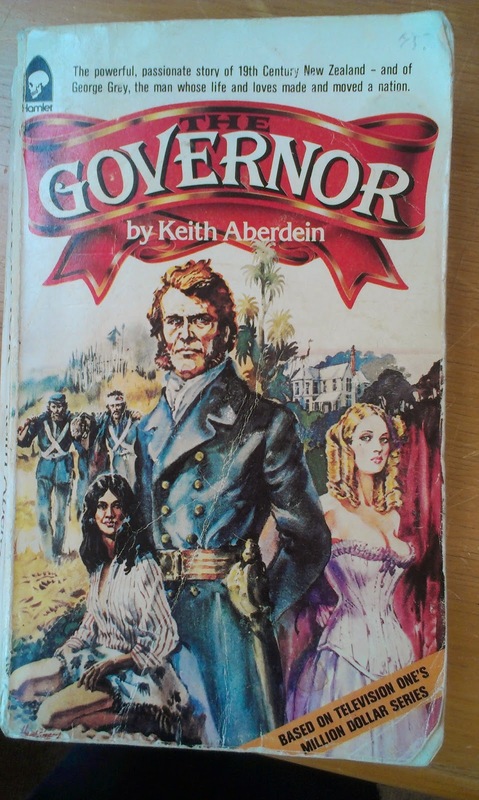 Written by Keith Aberdein, based on a concept devised by Michael Noonan, and directed by Tony Isaac, The Govenor set out to shatter myths about ‘Good Governor Grey’. The Grey played in this series by British actor Corin Redgrave was a duplicitious, scheming and untrustworthy figure, responsble for bringing untold misery on Māori with his unscrupulous actions. New Zealand was a land of just two television channels in the 1970s but even allowing for this The Governor attracted huge audiences. It seems to be a popular myth that the series was never repeated. In fact, its popularity was such that it was shown again in 1978 (in the midst, as Trisha Dunleavy notes, of the Bastion Point occupation and a growing Pākehā awareness of historical Māori injustices). But problems with securing consent to further repeat screenings means it has never been shown again and only some episodes are available in full on the NZ on Screen website (alongside a documentary about the making of The Governor that provides an illuminating snapshot of 1970s New Zealand). Even before it screened The Governor attracted controversy. With a cast of over 500 actors and repeated production overruns, the total cost eventually blew out to nearly $1.4 million (around $9.4 million in 2015 currency, making it more than likely still the most expensive drama series in New Zealand television history). Prime Minister Robert Muldoon was highly critical of the overspend and a parliamentary inquiry was ordered. It has been suggested that his real concern was the race relations can of worms the series threatened to throw open. Additionally, Muldoon was continually at war with television bosses and may have seen this as another opportunity to go on the offensive. I remember watching the series as a ten-year old and realising that here was something really quite special, even if I was too young to fully grasp the narrative. For another New Zealand historian, the series had a more profound impact. James Belich later recalled in his documentary series on the New Zealand Wars that, while still a student, he had worked a holiday job on the set of The Governor, digging the trenches of a reconstructed Ruapekapeka pā, and all the while thinking to himself ‘What the hell is going on here? This doesn’t look like a Māori pā, this is more like a chunk of the Western Front’. It was through this incident that Belich became curious about the wars fought in New Zealand, going on to publish a ground-breaking work on the New Zealand Wars in 1986. Today, as I write a history of the Waikato War, I am chiefly interested in The Governor for what it says about how that war has been remembered or forgotten historically. Fortunately, episode five, ‘The Lame Seagull’, which deals with the war, is one of those available in full on the NZ on Screen website. 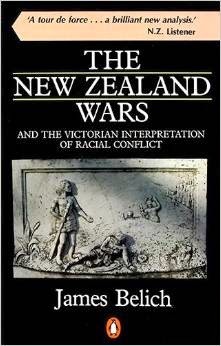 It depicts the Waikato War as an unsavoury land grab on Grey’s part, while lauding Māori bravery at Ōrākau. The battle scenes are impressive but there is a kind of inevitability about Māori defeat that today seems somewhat dated in the light of Belich’s subsequent work emphasising Māori military achievement. Even so, the epic scale of The Governor has never been repeated on New Zealand screens. It remains absorbing viewing. Less well-known is that a novel of the same title was also released to coincide with the television series. I picked up a battered second-hand copy at a book fair last year. It features a somewhat gaudy cover that seems to promise a romantic tale set during a time of war (‘Based on Television One’s Million Dollar Series’), and a back-page blurb that plays up Grey’s contradictory character (‘a Christian, Victorian gentleman, torn between honourable duty and the guilty pursuit of pleasure’). It begins, as many a New Zealand drama does, in a pub room, ending on Grey’s deathbed. I have yet to read what lies between. See Trisha Dunleavy, '"Magnificent Failure" or Subversive Triumph? The Governor' in James E. Bennett and Rebecca Beirne (eds), Making Film and Television Histories: Australia and New Zealand, London: I.B. Tauris, 2012, pp.67-72.